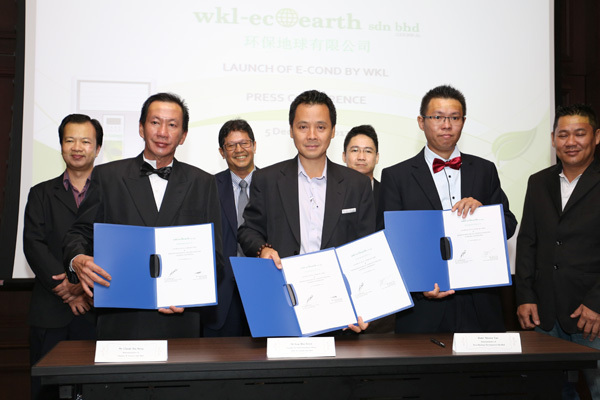 WKL Eco Earth Sdn Bhd (“WKL” or the “Company”), one of the world’s leading inventors of green technology, has successfully launched its e-Cond, the first eco-friendly air-conditioning system with the proprietary technology of heat emission control system that regulates the temperature and volume of heat transferred from the air-conditioning system to the environment. 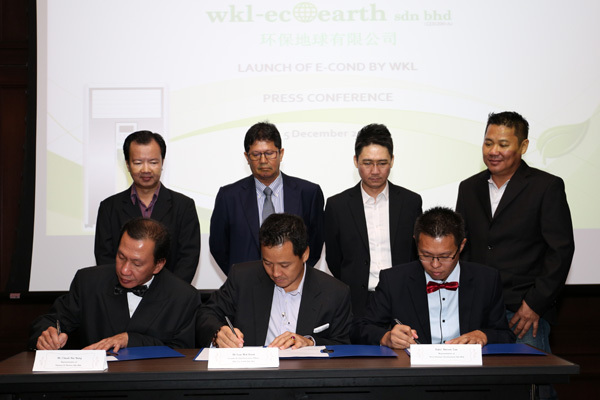 The e-Cond by WKL launch event was held at VE Hotel & Residence, Bangsar South City, in conjunction with the signing of Memorandum of Understanding (“MoU”) with several Selangor-based property developers for the collaboration of incorporating e-Cond units into property projects. The idea conception for the e-Cond by WKL was inspired by the principle of yin and yang, whereby an increase in one pole brings a corresponding decrease in the opposite pole, and it is important to reach a correct balance between the two poles in order to achieve harmony. By applying that to the air-conditioning system, Dr. Low believes that the balance between inflow and outflow air must be reached in order to achieve environmental sustainability. 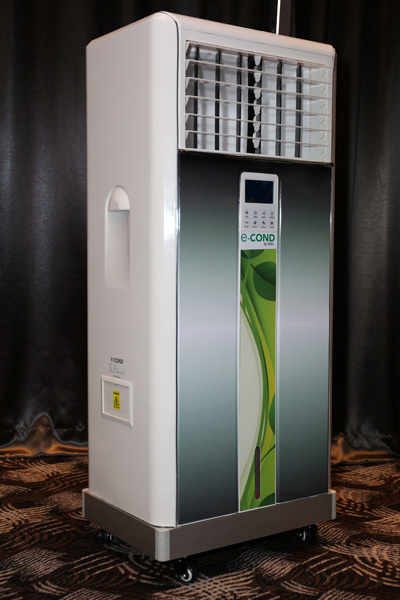 The e-Cond by WKL employs an innovative hydro-refrigeration system, integrating the evaporative cooling process with refrigeration cycle to achieve optimal cooling performance at approximately ±23oC. The invention achieves environmental sustainability through first, the reduction of temperature of output air to ±70~80%; second, the reduction of air flow of output air by ±80%; and lastly, the reduction of energy consumption, thereby curbing global warming and climate change issues created by the conventional air-conditioning system. On another note, the signing of MoU between WKL and Nova Heritage Development Sdn Bhd (“Nova”) and Hawson & Hanson Sdn Bhd (“Hawson”), Selangor-based property developers establishes the collaboration to include e-Cond units into each housing unit of the property development projects to be undertaken by Nova and Hawson in Sungai Besar, Selangor.